We’ve also set up a Facebook page for what it’s worth. Seems you can’t really exist without one. 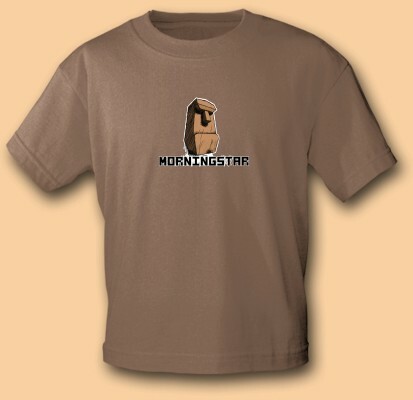 We’re happy to announce that Morningstar t-shirts are available to buy at Pokol T-shirts. Choose from a wide variety of styles and colors. International delivery. Click here to buy at Pokol T-shirts. I have installed a WordPress on the server. No big deal, but you gotta start somewhere. So there you have it. Our first blogpost.